As you may know, Blender is a powerful suite for animation, modeling, interactive creation, post-production with support for a lot of file formats. 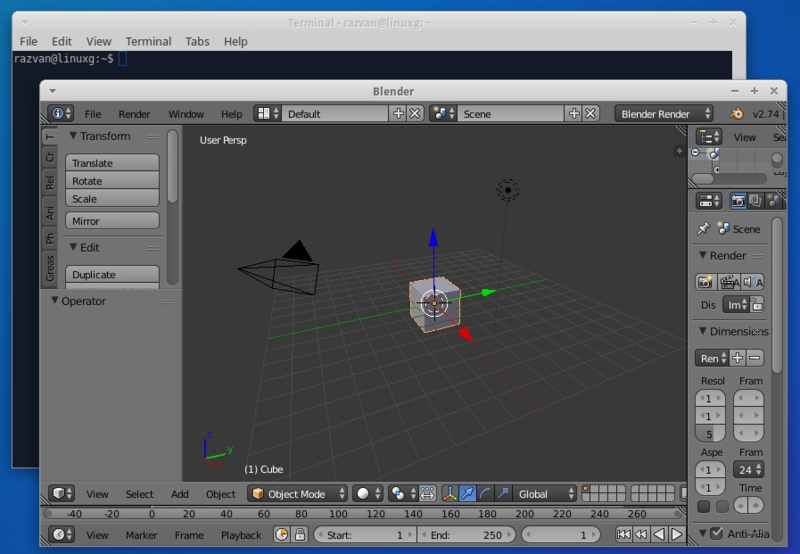 The latest version available is Blender 2.77, which has been recently released, coming with a bunch of changes only. The installation instructions should work on Ubuntu 16.04 Xenial Xerus, Ubuntu 15.10 Wily Werewolf, Ubuntu 14.04 Trusty Tahr and derivative systems like Linux Mint 17.x, Elementary OS 0.3 Freya and other Ubuntu and derivative systems.